This tutorial explains how to add border radius and background color in Image Component in react native application. 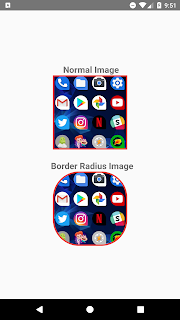 if you remember a month back we have shared demo on React Native to display or show Border Around Images, similarly here we are going to implement for setting border radius of an images. Lets get started. Using below CSS properties you can set border width and color in react native component. borderWidth : This will set border width. borderColor : This will set border color. Using below CSS properties you can set border radius around image in react native application. borderColor: '#F44336', // Set border Hex Color code here. borderRadius: 10 // Set border Radius. 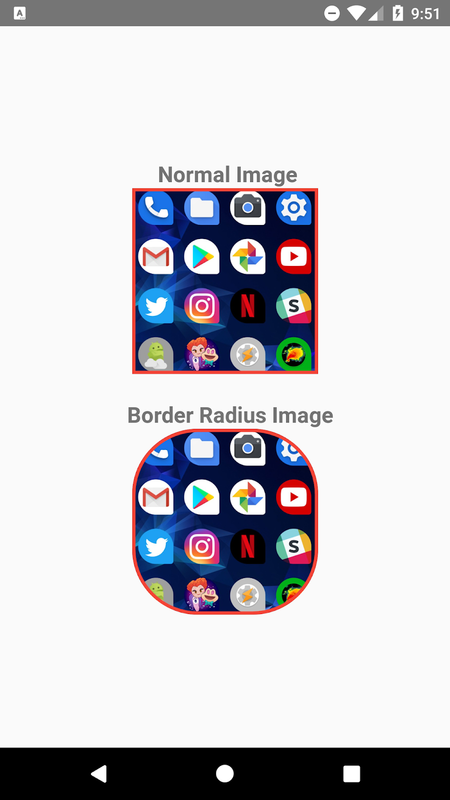 This is an Example to Set Border Radius of an Image in React Native. We will set the border radius of the Image using StyleSheet element borderRadius. Step 2 : Create the "images" folder inside the react native project structure and refer the below screenshot. Step 4: Open App.js File in your favorite code editor and erase all code and follow this tutorial. Step 5: Through react , react-native packages import all required components. Step 6: Open App.js component and and Implement render method. The render method returns Image component wrapped by root View component. width: 170,  // Setting up image width. height: 170,  // Setting up image height. borderWidth: 3,  // Set border width. borderColor: '#F44336',  // Set border Hex Color code here. borderRadius: 60,  // Set border Radius. Lets see the complete source code that helps to add border radius around the Image component with background color in react native application. The above example will display the below output. 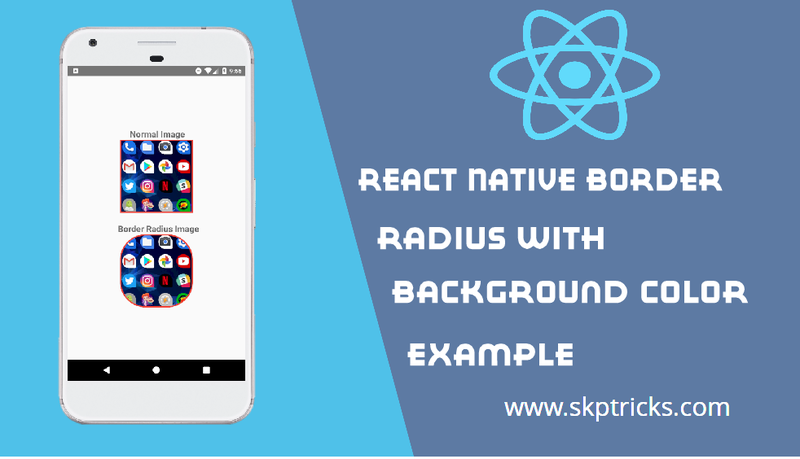 This is all about React Native Border Radius with background color Example in react native application. Thank you for reading this article, and if you have any problem, have a another better useful solution about this article, please write message in the comment section.